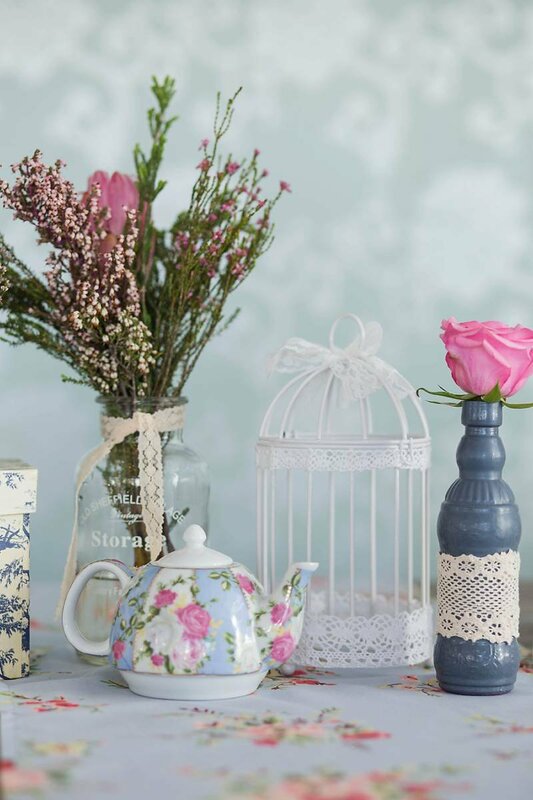 Tea cups, vintage doilies, strings of pearls and beautiful blooms. 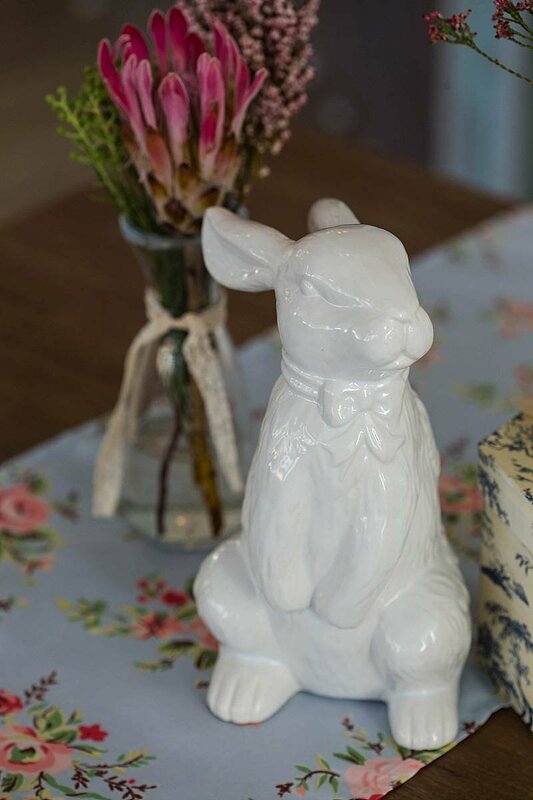 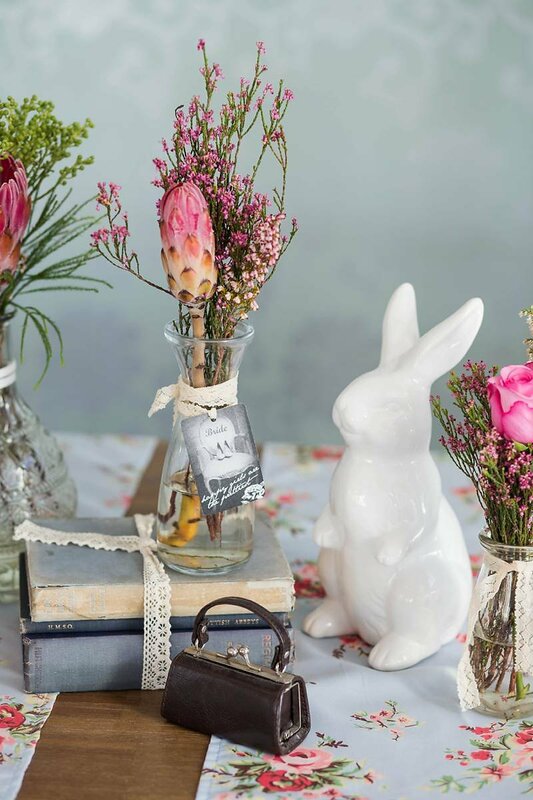 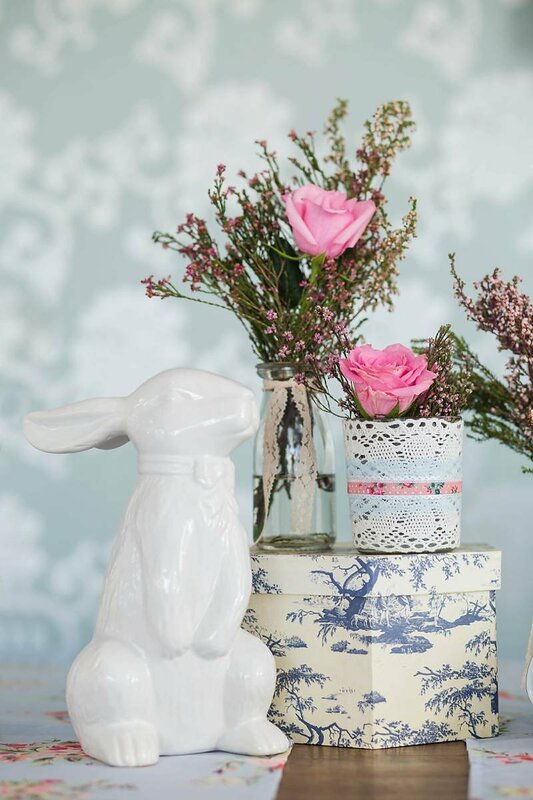 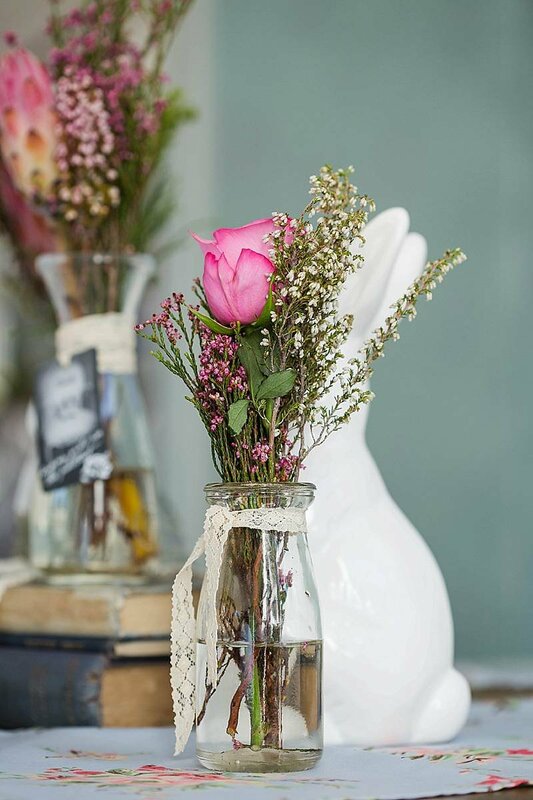 Ceramic bunnies and hat boxes and old-fashioned vases. 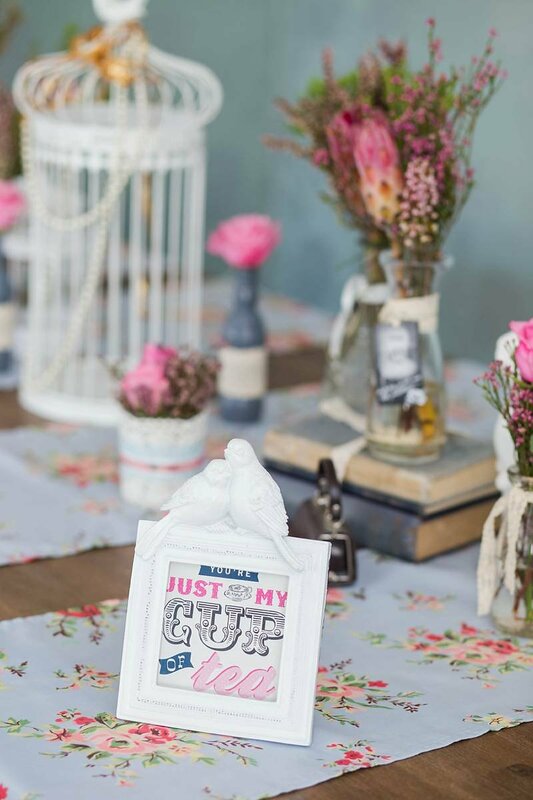 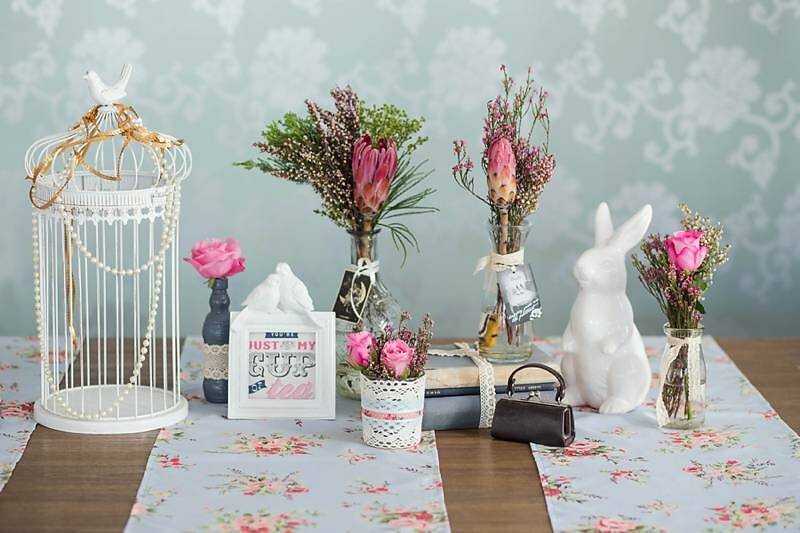 This is the perfect vintage theme for a bride or mom-to-be that loves all things pretty and whimsical. 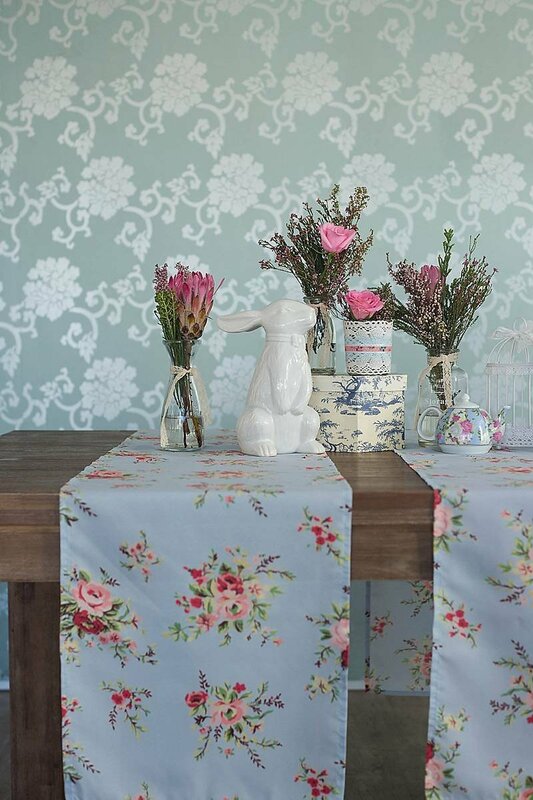 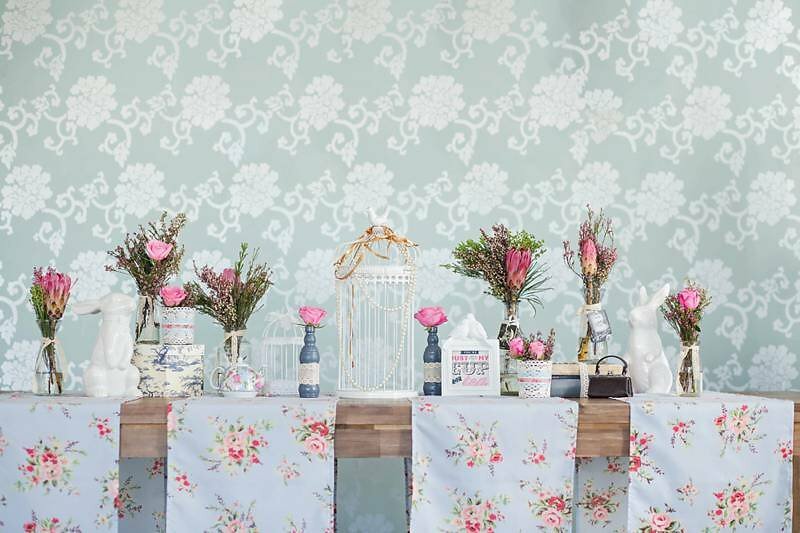 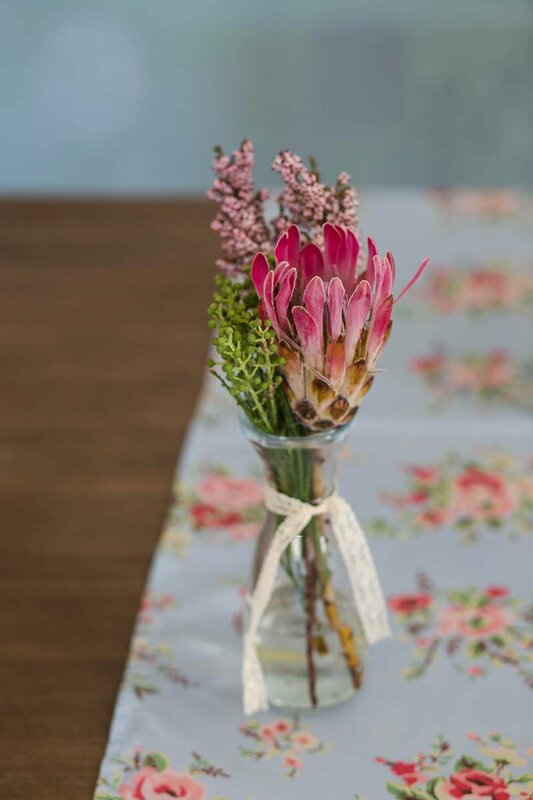 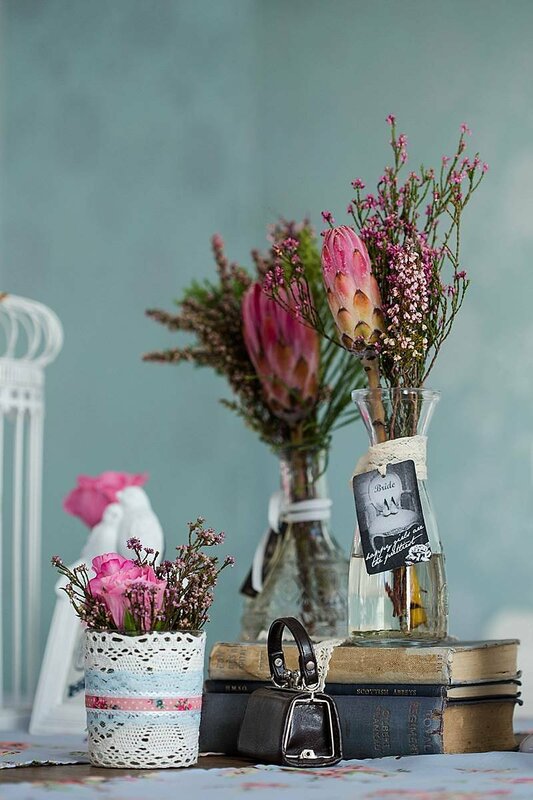 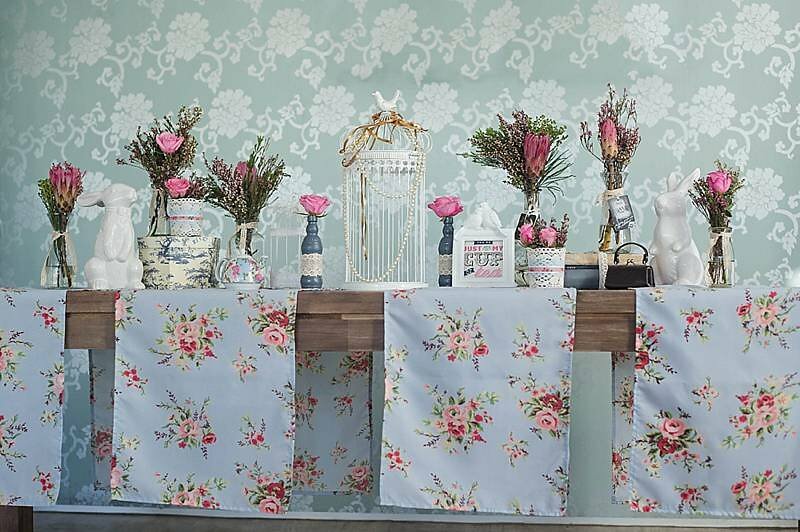 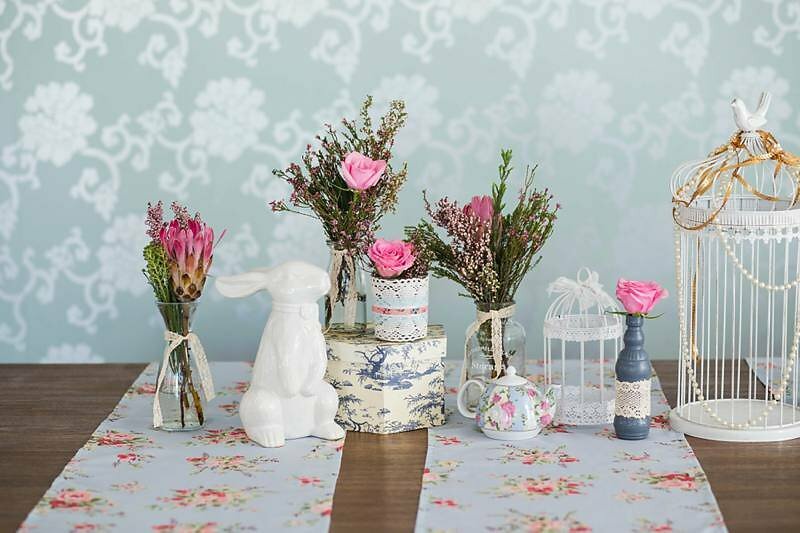 Using a charming selection of vintage decor items, beautiful table runners in a floral print and romantic flower arrangements, the Something Blue décor pack has everything needed for a professionally styled kitchen tea, bridal or baby shower. 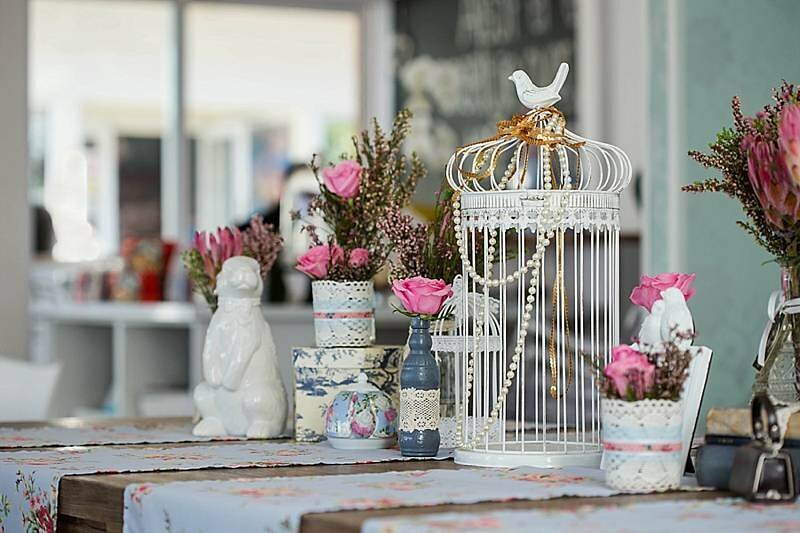 If you’re planning on hosting a high tea themed celebration, this would be the perfect choice. 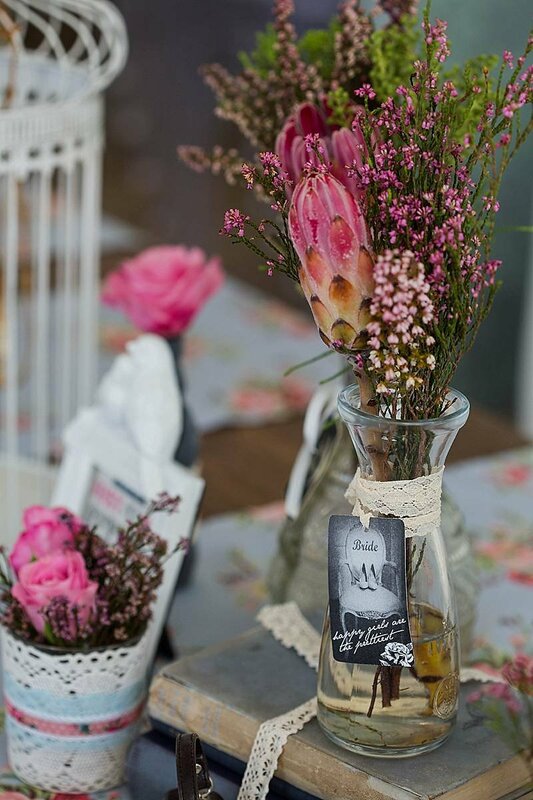 My Tea Ceremony guest favour would add such a lovely touch to the table decor. 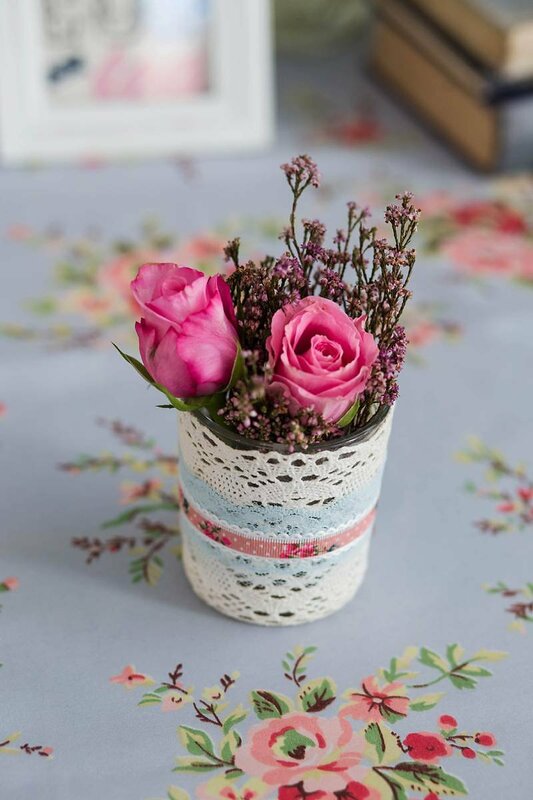 So would a macaroon or pretty iced biscuit with a vintage gift tag. 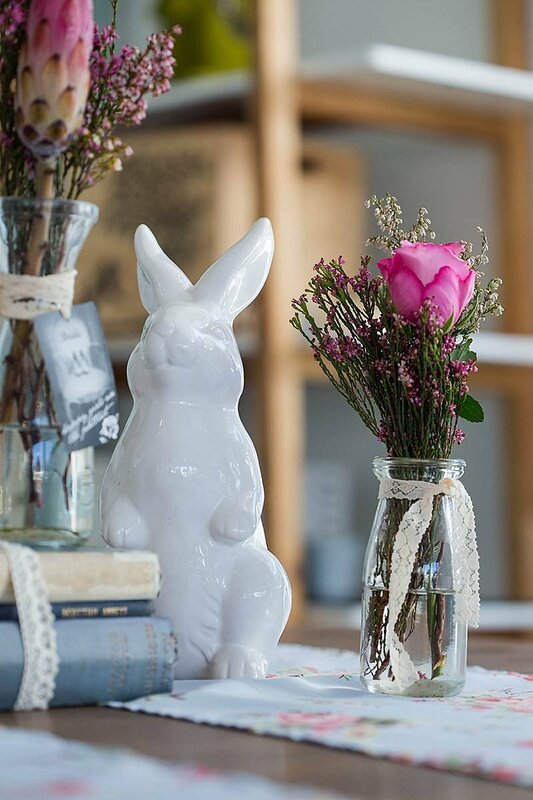 Adding a clay craft class would be the perfect activity to entertain the guests. 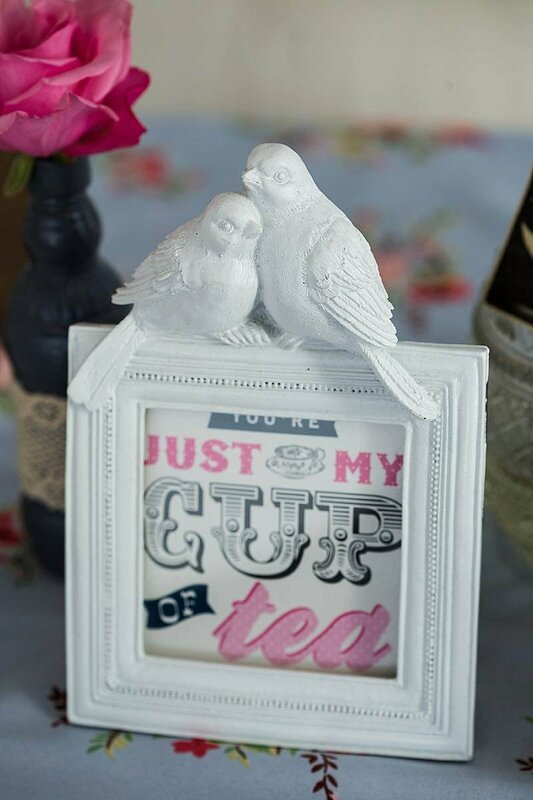 It’s a lovely, calming activity suited for a morning or afternoon celebration. 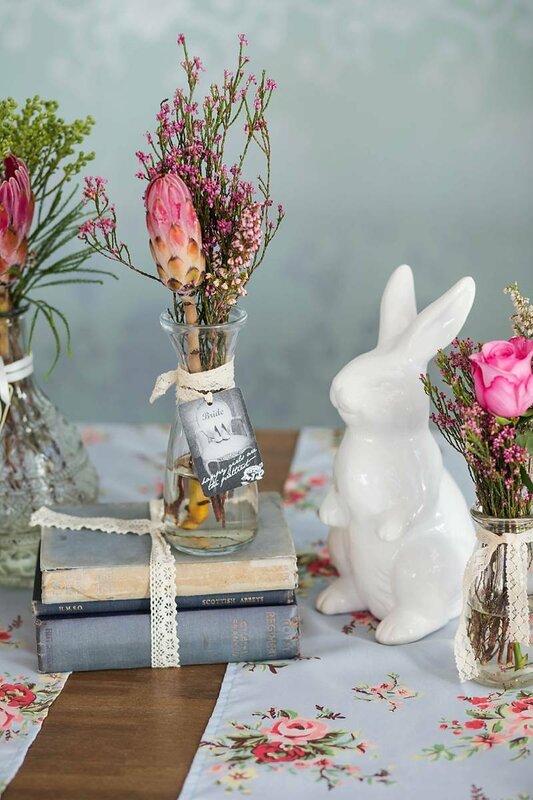 I know of some lovely venues across Cape Town, Durbanville, Paarl, Wellington, Stellenbosch and Somerset West that would work amazingly with this theme. 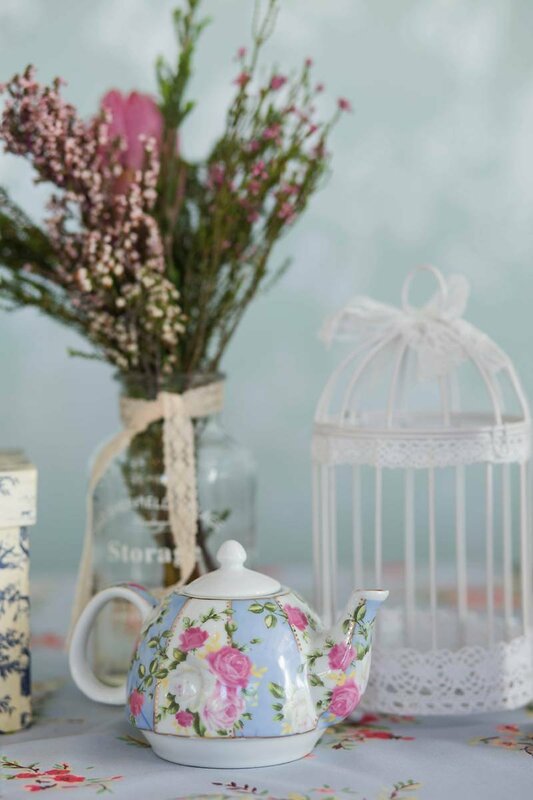 This is all you need to create a vintage kitchen tea, bridal or baby shower.